Friends of Kids with Cancer | Mardi Gras West at the Crafty Chameleon Raised $1,400! Mardi Gras West at the Crafty Chameleon Raised $1,400! 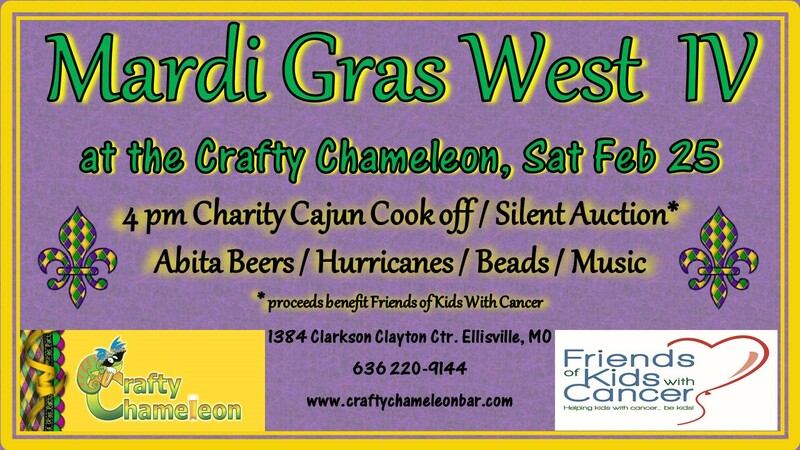 The Crafty Chameleon Bar hosted their 4th Annual 'Mardi Gras West' charity event to benefit Friends. The event featured a charity cajun cook-off, silent auction, live music and more. Thank you, Crafty Chameleon, for helping kids with cancer...be kids!